I was raised in Harlem from birth, born at the old Women’s Hospital on February 17th, 1950. My most vivid memories from my childhood are from my home on 116th Street between 8th and Manhattan Avenue. Living there with my grandparents, parents, uncles and siblings was full of fun and joy. The years I spent on West 116th Street were my elementary school days. After school I’d play sports with the Christian Brothers and games with The Sister of the Blessed Sacrament. My friends and I would spend time outdoors playing in the street, jumping roofs, dodging cars and going to the park. Indoor fun consisted of sharing a bed and a bath with my little brother, seeing who could hold the radiator or the open electric socket without crying, watching my grandmother and mother cook and bake, watching television with my parents and guessing when the lights might go off. The memories of my childhood were enjoyable, but our living conditions included rats, roaches and garbage. So when my parents decided to move us to a NYCHA development in 1961, it was a major step up. Our new home in Manhattanville was much cleaner. I lived there until I graduated from Cardinal Spellman High School in 1968. That’s when I left for college and left the rules, organization, security and healthy environment of the Manhattanville enclave. Some may wonder why I would call the Manhattanville of then an enclave. I do it because Manhattanville had a special kind of character compared to the majority of the other NYCHA developments in Manhattan (Lincoln, Foster, Grant, St. Nicholas, Amsterdam Houses, Douglas and Taft) which were deteriorating. I did quite notice Manhattanville aging during my periodic visits home from college. When I returned after graduation to care for my mother and raise my children however, the development’s aging was suddenly apparent. I was shocked at how it had rapidly grown old. Nowadays, people openly have family reunions and picnics in the grass, it appears the rule about dogs has changed considering everyone seems to have one, and elevators, stairs, common terraces and hallways constantly remain filthy. We need to examine the stark difference in maintenance between then and now. There are different types of maintenance such as, general maintenance, which is a dual responsibility of the tenants and NYCHA. There is maintenance in the form of repairs where tenants submit requests for a fix up in their homes, often to address household health concerns. And finally, there is the presence of security and professional staff to protect and meet the needs of residents. In the past, public areas in NYCHA were constantly cleaned and maintained. Requests for apartment repairs were addressed and completed immediately, and security, police and private guards, constantly patrolled the public area inside and outside buildings. Tenants were fined for breaking the rules, and not just for things like improper garbage disposal, but also the incorrect use of building equipment like incinerators. Now all that is missing. There is no re-painting done, no lead or asbestos removal, no readily addressed maintenance requests, no professional security patrolling the premises, and improper garbage dumping takes place in public areas. Frankly, there is no hope for health. Who is looking out for the safety and health of NYCHA residents? There have been news articles of gun deaths in the projects. NYCHA staff have lied about the removal of toxic substances such as lead, asbestos, and mold from apartment buildings and lied about the repair of leaks and holes in ceilings and walls. Rodents and vermin are overrunning apartments. It is true that part of these issues is the responsibility of the tenants themselves, they cannot dump garbage wherever they want, but no one is enforcing any consequences, like fining people for inappropriate behavior. Though the tenants do have to step up, NYCHA itself needs to make improvements regarding repairs and maintenance of public areas and apartment units. NYCHA Housing Police, with their primary responsibility being the NYCHA developments, both in the form of presence, patrolling and enforcement, need to reduce gun and gang violence. Additionally, there must be government oversight to hold NYCHA accountable for their shortcomings. The government has to recognize NYCHA’s responsibility and also help out with their debt, otherwise how can any of this get solved? Addressing these issues would reduce so many health hazards that tenants are facing today. Issues related to asthma, lung diseases, mental health, and the list goes on. 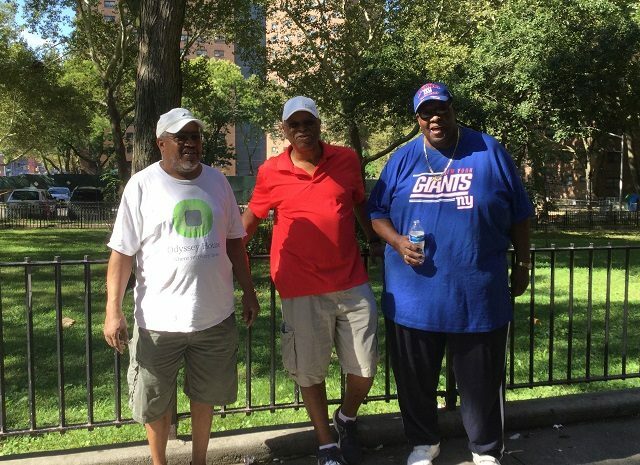 Until the larger agencies do something, the health of NYCHA residents is at risk. Lawrence S. Riddick is a product of Cardinal Spellman High School, Dartmouth College from where he holds a BA in history and John Jay College where he received an MPA. He is a Harlem native and has been a NYCHA resident on and off since 1961. Lawrence has three sons whom he loves dearly. 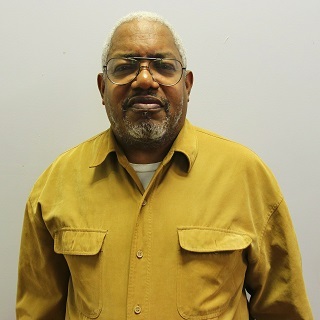 Over the years Lawrence has become increasingly aware of how the destruction of the environment will impact the future of his children, and thus he is an active member of WE ACT for Environmental Justice.